As of December 2017, Chile had a labor force of some 8,977,000 people. Unemployment is low and 215,000 professionals graduate each year. What is the minimum monthly wage in Chile? The minimum monthly wage is set annually by law. As from 1 January 2018, it is 276,000 Chilean pesos for workers aged over 18 and up to 65 and 206,041 pesos for those under 18 and over 65. What payments must companies make on account of social security for their employees (pensions, healthcare and insurance)? All employees must be affiliated to an Administradora de Fondos de Pensiones, AFP (Pension Fund Administrator) and either the state National Health Fund (FONASA) or a private Institución de Salud Previsional, ISAPRE (Health Insurance Institution) of their choice. For payroll employees (those with a work contract), social security payments are compulsory. They are deducted from the employee’s remunerations except in the case of Workplace Accident and Occupational Illness Insurance and the premium for Disability and Surviving Dependents’ Insurance (SIS), which are paid by the employer. In the case of Unemployment Insurance, employees with an indefinite contract must contribute 0.6% of their remunerations while, if they have a fixed-term or project-related contract, the employer must pay all the contribution. The employer must make the corresponding deductions and pay them into employees’ pension and healthcare insurance institutions (AFP, ISAPRE or FONASA, Workplace Insurer or the Labor Security Institute (ISL) and the Unemployment Insurance Fund Administrator (AFC)). As a result, the social security costs borne by a company on behalf of employees usually range from 0.45% to 5.1% but can be higher since Workplace Accident and Occupational Illness Insurance premiums vary depending on the level of risk related to the economic activity. For further information, see www.previsionsocial.gob.cl. Can I hire foreign workers for my company? For companies with more than 25 employees, Chilean law requires that at least 85% be of Chilean nationality. This is calculated over the total number of employees that an employer has in Chile, not in each branch separately. Specialized technical personnel are excluded and a foreigner counts as Chilean if married to or with a civil union with a Chilean, the parent of Chilean children or the widow or widower of a Chilean. Foreigners also count as Chileans if they have been resident in the country for more than five years, without taking into account involuntary absences. [Labor Code, Article 20]. What is the duration of the working week? The working week may not exceed 45 hours. 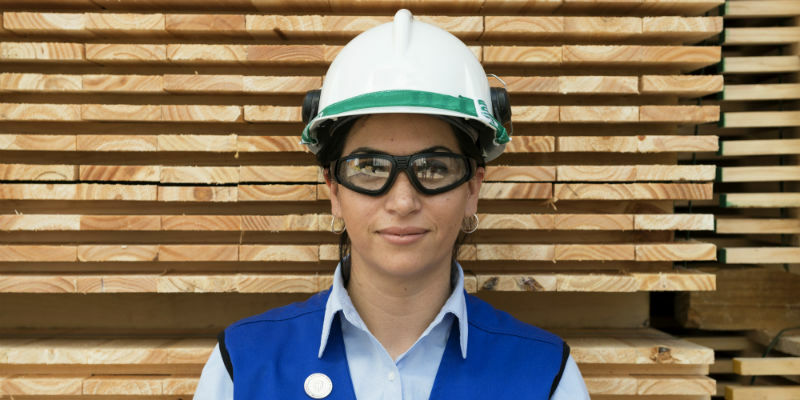 There are, however, exceptions which are established in the Labor Code. The maximum 45 hours may not be distributed over less than five or more than six days and the normal working day cannot exceed ten hours. The law, however, permits certain exceptions such as force majeure or over the Christmas period. 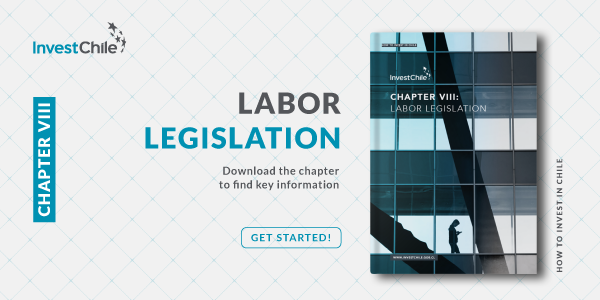 For further information about labor laws and social security in Chile, download this chapter of our Investor’s Guide.